The Sycamore Room, located on the second floor, features a king-size black plantation shutter bed. 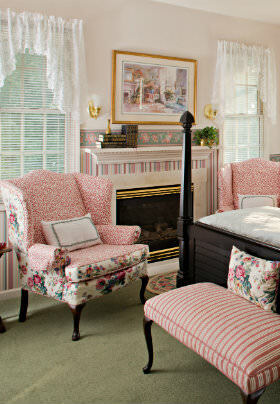 The fireplace is flanked by two Queen Anne chairs. A large antique white armoire houses the TV/DVD. 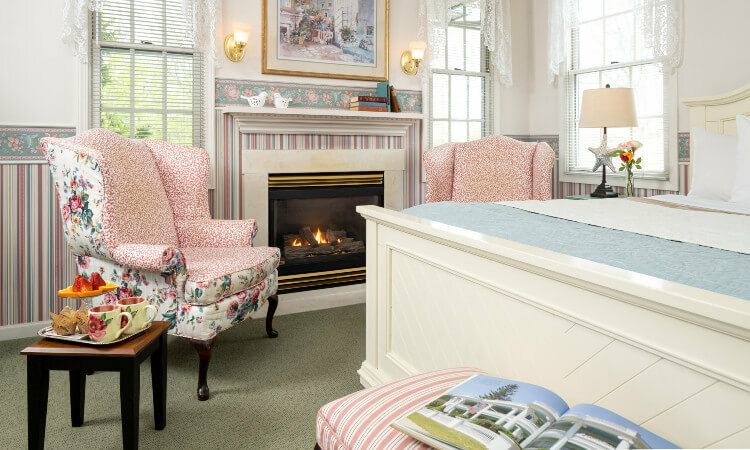 The double Jacuzzi is tucked in the room next to the bed and is ornamented by Victorian lattice and a stained glass window. 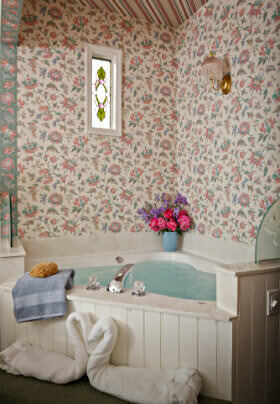 Additionally, there is a private bath with shower. Central AC for summer comfort.